Dubrovnik is unbelievably beautiful. It is like nothing else I’ve seen in our travels. Its history as a walled city is nearly unparalleled. It is no wonder that everyone is flocking there. We flew into Dubrovnik airport and took the Atlas shuttle bus. Tickets were easily purchased at the desk just after we exited the baggage claim area. The bus was slow due to tons of traffic. We were glad to have a few things for the kids to do to entertain them on the ride. The Big Little left his book-bag on board after tucking it under his seat. When we realized it was gone there were tons of tears, as the big’s knuffle was in the bag. Jeff, always quick thinking, ran to the Atlas downtown office and arranged to pick up the bag on the shuttle’s next city trip. We are so thankful to the staff and bus driver for helping us recover the little bag so easily. The Atlas bus drops off just outside Dubrovnik’s main gate. From there it is an easy walk into town. We stayed in Old Town within the city walls at an Airbnb. This made all the difference. It meant we were able to enjoy the city in the morning and evening before the crowds made the city unbearable. The Airbnb said it had air conditioning. It did have a unit in the living space but it couldn’t keep up with the hundred degree outside temperatures. Nights in the apartment were hot. I presume this is the situation with most of the lodging in the old city. If you choose to stay outside the city, you might find a hotel with a pool or coastal access. The downside is that you’ve got to take a bus or a taxi into the city. The best thing to do in Dubrovnik is exploring the old town. As I mentioned, it was crowded and hot on the main streets through town. We sought refuge on some of the back streets, where shade provided some respite from the heat and those streets were less crowded. Walking down the Placa, the main street through Old Town is beautiful, particularly as the sun is setting. Water fountains throughout the town provide cold water from the mountains. It is some of the best public water we have tasted, so be sure to bring your own bottle and fill up regularly. The clock tower at the end of the Placa is 31 meters high and dates from the 15th Century. Two bronze figures strike the bell on top, which endlessly entertained the boys. We’ve grown accustomed to hearing the time chimed throughout Europe, but it is a lovely benefit of staying in Old Town Dubrovnik. We also paid a visit to the Orlando Column. This is the square for all events in Dubrovnik. On the base of the statue is the official measurement unit used by the city. The back streets are really just so lovely. There are not many residents left in the central part of Old Town, as tourists have mostly taken over the area. I loved the looks of the streets made of stairs. Some restaurants even use these stairs as part of their seating plan, placing cushions and tables right on the stairs. There is so much to see that a walking tour was high on our list. Although there were several families with kids on our tour we opted to split up. My mom and I went on the tour while Jeff took the kids for dinner and got them down for bed. There are plenty of tours to choose from – both a plethora of themes and providers. We went with Dubrovnik Walking Tours which meets at the fountain in the main square. Our guide was easy to understand and knowledgeable. After the tour my mom and I grabbed dinner at one of the guide’s recommendations off the main drag. Everything we ate in Dubrovnik was yummy. Some of the best views of Dubrovnik are from the city walls. The walls are 2 km long and fully exposed to the sun. We went in the evening, but still got quite a bit of sun! We took our time but still popped out at the halfway point, as the kids grew tired of just looking over the wall. The walk is not stroller friendly as there are loads of steps. We were glad to have the Ergo and Tula carriers with us. If I had it to do again I would go early in the morning and plan to get lunch at one of the many restaurants set up on the wall. The boys loved riding the cable car up Mt. Sard where you are rewarded with the best views of the old walled town. We were at the cable car when it opened at 9am, which is key since lines can grow long. (You can also drive to the top but it is a one lane, curvy road all the way up.) Our kids are always excited for cable cars so the 4 min ride up and down was perfect for our family. Once at the top we enjoyed amazing views of the city. It is incredible to see all the houses backed into the walled city. There are wild horses that roam at the top as well. We were lucky to catch a glimpse of a few of them out back of the visitors center. Not to miss while you are up here is the Museum of the Croatian War of Independence. It is mostly suitable for children. We sent Jeff ahead in each room to make sure the images were appropriate for our children. We watched news footage from the early 1990’s when Dubrovnik was under siege. The Croatian forces used the old fort, where the museum is housed, to defend their city. It is really interesting to learn about a war not so long ago – and that has color pictures and video. It all felt so real. We enjoyed some more of the picturesque views from on top of the fort before taking the cable car back down. Our sunset kayak trip was not at all kid friendly, but one of the highlights of our visit. My mom stayed with the kids in the Airbnb and they ordered pizza while Jeff and I hit the water. The kayak trip is marked as “easy” but it is quite intense. Jeff and I had no trouble, despite being possibly the oldest ones on the tour. That being said several of the other kayaks ended up needing to be towed home early in the trip. The route we took was 7 km of paddling in mostly open sea. There are several kayak companies that all run similar tours. They all depart from around the same area, so make sure you know your company name. We were given a dry bag for our things, a life jacket and put in a kayak and off we went. Your first stop is a sheltered sea cave where you beach your kayak and snorkel for a bit. We enjoyed all the fish – but most of the other patrons seemed bored by the snorkeling. Next it’s off to a sea cave in the island where you will need to jump out of your kayak if you want to swim. Finally you end up on the water ready for sunset. When you return you are given a small bottle of wine and a bag of chips. We grabbed ours and left so we could grab a quick dinner. We opted for shawarma and ice cream. It was delicious! There are several lovely beaches surrounding the Old Town. We walked to Dance Beach and enjoyed some much needed time in the water. (Find a listing and photos of Dubrovnik’s beaches here.) You’ll need water shoes as the beaches are so rocky it hurts to walk on them. The kids enjoyed stacking and playing on the rocks though and we loved not being covered in sand. It was just so hot we could not fathom doing anything else! There is a small cafe at this beach, but not much else in the way of eating. We ended up walking back into Dubrovnik for some food. Every day a market sets up in one of Dubrovnik’s old squares. It is a wonderful opportunity to taste the Croatian treats of candied orange peels and candied figs. We also picked up some fresh fruit which was hauled into town early in the morning on donkey carts. The kids were particularly taken by all the grapes. Vendors let the boys sample everything which made this a perfectly kid friendly stop in the city. 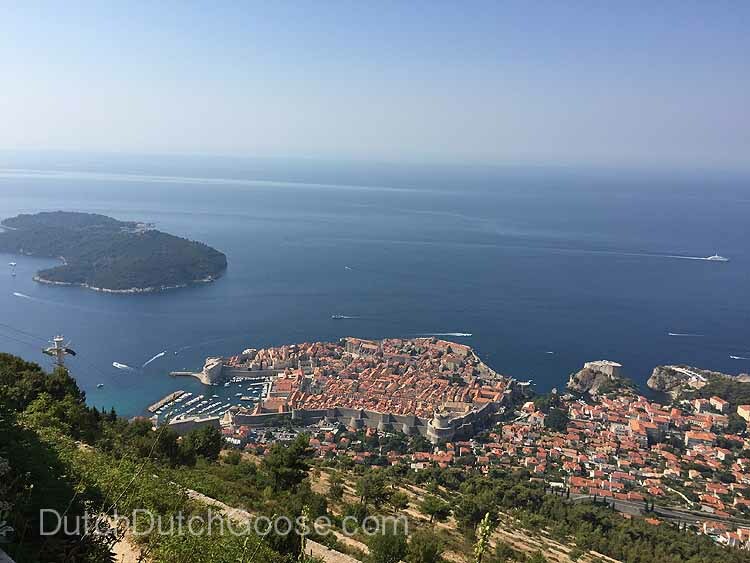 We typically find value in all our outings, however in Dubrovnik we walked over to Fort Lovrijenac to find it completely empty. The fort admission is included in your city walls ticket. It is quite the hike to get up to the fort and very disappointing once you are inside. We made the best of it and got another great view of the city, but otherwise it was not worth the trip. Leaving Dubrovnik we rented a car from a Sixt, which is located inside a hotel outside of Old Town. Jeff walked there at opening and picked up the car. He had to pay to park in a parking lot to pick us up since there is not a great option for pickups with the buses and crowds that form in the city. If you plan to drive outside of the country, which is likely given that to get to the rest of Croatia from Dubrovnik you must cross through Bosnia, you need to obtain a green card from your rental car company. This was an additional cost and we had to remind them at pickup. Overall we loved Dubrovnik. 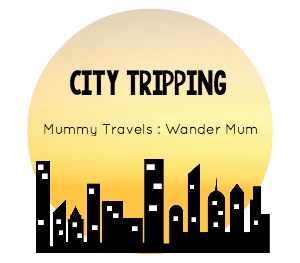 I loved being in the city and that worked well for us being able to switch off with the kids while others explored the city. If you have older kids though you may be better served in a more modern place just outside of old town. We were particularly unlucky with the heat, but better air conditioning would have made us more comfortable. If your planning a trip to Croatia you’ll want to check out Chasing the Donkey, which is an excellent resource on all things Croatia. We found the Chasing the Donkey blog to be a great place to start. We found the Rick Steves Croatia & Slovenia book quite helpful as well. Finally, check out Travel with Meraki’s guide to Dubrovnik, it is packed with pictures and great recommendations. I’m also always on the lookout for kids books to augment our trips. I found a fun book, It’s Castle Time, about the walled city. The book is mostly photographs of specific parts of the city that kids love (the walls and draw bridges) but it provides a great way to prepare young kids for your trip. We also really enjoyed Unpacked: Croatia, which is geared at slightly older children and focuses on culture and history of the country. This post contains affiliate links. If you purchase a product through one of these links I receive a small commission at no cost to you. As always all opinions are my own.